What would you do to get a $20 per line discount on your monthly bill? Would you pay full price for your cellphone? That is what Cole Brodman, T-Mobile’s Chief Marketing Officer would like to see happen. In fact, T-Mobile already offers a discounted plan for customers who forego a subsidy on their device. This works out fairly well for T-Mobile’s GSM customers who want to use an unlocked international or AT&T phone instead of T-Mobile’s subsidized offerings, but will it catch on with other carriers? Will customers who have grown accustomed to inexpensive upgrades suffer sticker shock at the prospect of a $650 replacement for their cellphone? If you think about it, the customer is probably better off using the unsubsidized route, unless they buy one of the highest subsidy phones as soon as they are eligible, every time. Carriers are also protected because they have nothing to lose if the customer walks away from their contract, only an ETF to gain. The only catch is that carriers are more likely to retain their customers if they offer an upgrade 4 months prior to the expiration of the contract, in exchange for a new 24 month contract. Carriers and many customers are addicted to this retention method and it would likely take an industry-wide effort to change the way business is conducted. [float right] [/float]The customer would win with the increased competition among cell phone manufacturers. If the manufacturers are forced to compete with each other on price, we would likely see prices drop thanks to bargain brands like ZTE and Huawei. 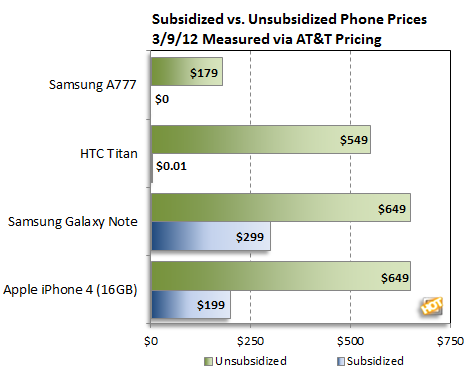 Currently the cell phone carrier just adds a different subsidy to the cheaper priced cell phones. Prepaid plans already use this model, but they tend to get the older and cheaper models instead of the flagships to reduce the sticker shock and upfront cost to their customers. [float left] [/float]T-Mobile is currently offering unsubsidized plans under the “Value” line of plans. An individual value plan with unlimited minutes, text and data (with 2GB of high speed data) currently will run $59.99 plus applicable fees and taxes per month. A comparable plan from the “classic” line with the subsidized handset will cost $79.99. T-Mobile even offers interest free loans that tack on a payment to the monthly bill if a customer elects to not pay the full price up front. $20 per month adds up to $400 over the 20 months that customers normally wait for their next upgrade. The only catch with this plan is that you still sign a 2-year contract, something that customers who buy their phone outright usually detest. It has been noted by T-Mobile sales staff that customers do not understand the difference in plans and customers who receive a subsidized phone complain that there is a lower priced plan and want to be switched over. [float right] [/float]A $480 savings on a 2-year agreement trumps almost every device subsidy. The iPhone 4S currently retails for $650, but sells for $199 with a 2-year contract equaling a $450 subsidy which comes close, but not quite. Even the Samsung Galaxy Note only commands a $350 subsidy. Ironically, the HTC Titan retails at $549 and sells for $0.01 making it the most subsidized handset. It is quite possible that a good chunk of that subsidy comes from Microsoft, in an effort to gain market share at the cost of their own profit. [float left] [/float]Ending carrier subsidies might be seen as a step towards the wireless carrier becoming a "dumb pipe" or the carrier being nothing more than the provider of minutes and data bytes, with no customized services. U.S. carriers have resisted becoming dumb pipes because carriers wouldn't see the end user profits from their additional services and it will inspire less brand loyalty. Carriers have already lost a lot of revenue thanks to iTunes and Google Play, among others. The carriers used to offer their own multimedia offerings to increase their revenue, but much of that is now going to Apple and Google, thanks to the trend towards carriers becoming dumb pipes for smartphone users. So what do you think? Would you like to see Sprint follow T-Mobile’s lead and reduce prices in exchange for dropping subsidies? Or does Sprint need to keep subsidies to continue the smartphone welfare? Using the customers that choose the cheaper handsets or keep their handset past their upgrade date to offset the higher subsidy on the iPhone or other high subsidy handsets. Previous entry Data usage continues to explode in unlimited channels. Is Clearwire positioned to be LTE relief for all Wireless Carriers? 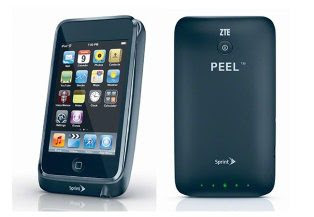 Next entry Could we see a non-HTC “Evo” make its way to Sprint’s shelves? I think carriers should make both options available. However, I'd prefer to pay a little more up front and reduce the recurring monthly fees. I like how T-Mobile is doing an Equipment Installment Plan. Would you consider leasing a phone? Howard, depending on the cost and terms of the lease I might. The Best Buy buyback program would be a lot more useful if I had to buy my phones full price. I'd get a new phone every year because they buy it back for half the purchase price. I might be interested if it was $20 per line since I have 5 phones and 1 data card that would be $120 per month or $1440 per year off my bill. I usually upgrade about 2 devices per year so I think I would save a few hundred per year. Last year, I switched from T-Mobile to Virgin. I bought a Moto Triumph outright. I'm saving over $50 per month, which has already paid for the upfront cost of the phone. Granted I had a 4G service, and now only 3G. You can save a lot going prepaid by giving up some things like 4G, free roaming, etc. It's almost like the old regional plans that some of the carriers, offered. Not nationwide, but a lot cheaper. Virgin is nationwide though. I have often considered going prepaid myself. I am 110% with you on this Ben, it should be optional and I think its a win win for both the customer and the carrier. I would definitely pay a little more up front to reduce my monthly fees in the long term. What would make me happy is if Sprint offered an Everything Data plan with less than 450 minutes at about $15/month cheaper. I never ever go over 100 minutes on my plan, so if they offered an Everything Data plan with 225 minutes, at about $54.99 + $10 premium data charge, I'd be happy. Most phones I purchase, I rarely use my upgrade for. I last upgraded to the EVO 3D last year on its release date. Then when the E4GT released, I had it two weeks later off eBay, brand new, for $85 less than the off contract price at Sprint. Saving over $50 a month is a great deal. Even if you will not get the 4G LTE benefits of Sprint's new network, you will still get to take advantage of the many other improvements Sprint's Network Vision includes. Sprint's prepaid (Virgin) is looking to have even more benefits then before. I get what your saying. And it seems to make a lot of sense. But Sprint's network costs are all associated with data these days, not voice. And voice usage is going down and down. Your idea, while noble for the customer, would kill Sprint's revenues and make them even more unprofitable. The truth is we are over paying for voice and under paying for data. For Sprint to offer a reduced voice package and lower costs, they would have to increase data prices by the same amount to compensate. Sprint is not in the position financially to make any material changes that would result in less revenue. In order to stay financially viable and continue with Network Vision/LTE Deployment, it must meet its Cash Flow Projections. I hope that Sprint financials improve post Network Vision. I have high hopes for Sprint's future. Yes, 3G speeds will be much improved. Good 3G speeds would be plenty for me. This is true. Four phones on our family plan use about 120 min each month out of 1500. It is funny though because two of the phones on our plan use less than 5MB of data, one uses about 1GB, and mine uses 3-4 GB. I think we are a good profit for Sprint, lol. As far as the article goes, I'd very much rather see more expensive phone and more competitive plans. On Sprint, for example, there is no real benefit to buying your phone outright. I think buying it for full price will allow for better competition as well.People often stick with a carrier for the simplicity of it rather than the value of it. Also, this whole iPhone carrier thing that IMO really hurt the networks would not have happened. If I could eliminate my contract and pay for the whole phone, I would have done that. If Sprint continues to provide good service, I should not need a contract to keep me locked in. This whole industry has evolved into such a mess of who can trick who so I end up not trusting anyone. I believe that there will be a basic charge for service like what T-Mobile is doing with the non-subsidized plan. (hopefully around $50 basic service/3G + $15 for unlimited data/4G) Then sprint could allow you to add the Full retail value of the phone + a small fee to the plan and pay it off over the course of your contract. (Epic4GTouch example: $549retail price- $199 upfront = $350+50fee /24mo = $16.67/mo on 2yr contract) The result of this would be a monthly bill that would be similar to the current plan offerings ($50+$15+$16.67= $81.67/mo) with cheaper phones being less per month (a $349 phone with $99 up front = $77.50/mo) , while the more expensive ones would raise your bill more (iPhone 4S 16Gig = $85.83/mo). Of course if you pay for the phone outright you would not have to pay for the phone per month, and save the fee, which would allow customers a lower monthly bill (No contract $65/mo with 4G). This sounds complicated, but will be very simple once it catches on. Basically everyone would pay the same amount for the network access, if you want to pay off the phone over the life of your plan, it will be added to your account... its that simple. If anyone wants to come to sprint with an old phone, sure, no problem... sprint would not have to carry the debt, and they get a net new subscriber on the network. They could eventually do away with the boost mobile brand and just merge everyone onto the sprint name, making it easier for a prepaid customer to switch to 4G either with or without a contract. Also, someone that doesn't want a contract anymore does not have to switch carriers, again simplifying things. The early upgrade problem would be taken out of the equation as well, anytime anyone wants to upgrade, all they have to do is pay off the remainder of the old phone. (upgrade @ 20mo (4mo early) $20.83 x 4= $83.32) Also, the ETF would just be the remainder owed on the old phone... What if you want to lower your monthly bill? just pay off the remainder of your phone... and again, simple to understand what your paying for. The benefit would be mainly for sprint b/c they would not longer have to worry that they are loosing money per phone. Phones would be sold at cost, or sprint would make $50 for 'financing' the phone if the customer chooses to do so. It would make sure that they are making money on the phone side instead of worrying about subsidy costs, then they could look at the cost to run the network and set the basic price to make sure they were profitable. Most customers would probably not like the change because they enjoy thinking that phones just cost $199, and one monthly charge that has everything included. Most people do not realize what they are paying for, and I do not know if this would be worth it for sprint to change their simple plans. They will probably not change anything in the near future, but for those of us that would purchase a phone outright to save per month, it would be a welcome addition. *I know this was a long response, but this is something I can see carriers doing in the future especially if phone prices go up. If you don't think so, that's fine, this is just my opinion. I fully agree Josh. The problem with having a bunch of different plans is that as the T-Mobile employee here http://www.phonearen...carrier_id28368 says, customers get angry and don’t understand the whole subsidy plan/non-subsidy plan. There is a lot to understand about the plans, the network, the handsets and how they all work together. Look at the $10 monthly premium data fee and how people are still angry that they have to pay it. Sprint’s network has been overloaded by smartphones, those who use a smartphone should be picking up the tab for network upgrades. To get back to the point, if a carrier like Sprint was going to take something like this on, I think they would have to eliminate all the subsidies to reduce confusion and have a simplified plan offering. As far as the price of the phone, they could easily still advertise a comparable price to the other carriers, and then in small print have a monthly charge along with it. I like the $50 financing fee idea. 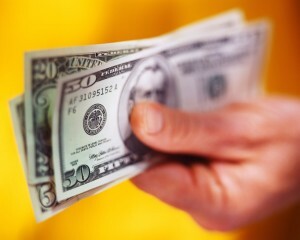 Then customers that want to pay full price can see instant gratification with a $50 savings. Maybe down the road if all the towers for the major carriers are upgraded to LTE and phones use VoLTE, we will finally see phone freedom where there are no carrier exclusive phones, and you can take your AT&T phone and switch to Sprint. That is years away though.